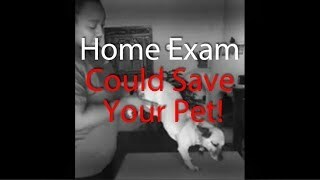 We have veterinarians ready to help! Can Ask.Vet help my pet? Ask.Vet can help you with questions about your pet’s health and behavior, and our comprehensive triage process can determine the seriousness of the situation and tell you when you need to make an appointment to see a vet in person. An average chat session with our US licensed veterinarians lasts 15-20 minutes. My dog has diarrhea. How long can I wait to see if it resolves on its own? The new flea and tick medication is making my cat shake. Is it serious? My dog ate chocolate. Do I need to go to emergency? My dog was vaccinated several hours ago and now she’s laying in one spot and doesn’t want to move. Will this pass? My cat is only eating half of his food. Should I be concerned? Ask.Vet u2013 Mosquito Bite! 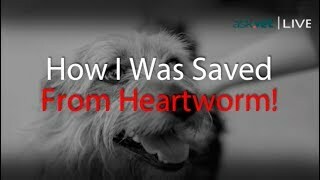 Is My Dog Going To Get Heartworms? 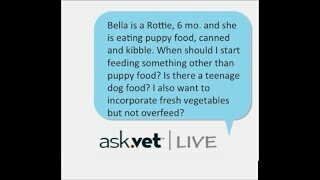 Ask.Vet u2013 How Do I Transition My Puppy's Food? What Fresh Veggies Can My Puppy Eat? 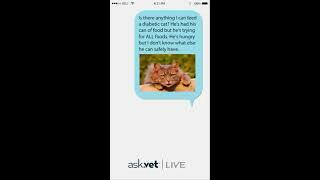 Ask.Vet u2013 My Diabetic Cat is Hungry All The Time. What Can I Feed Him? 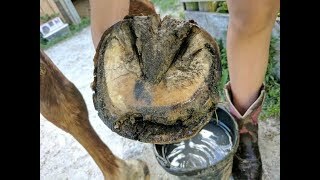 Ask.Vet u2013 How Can I Heal My Horseu2019s Hoof Separation? 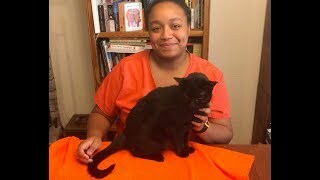 Ask.Vet u2013 My Senior Cat, How Do I Keep Her Comfortable? 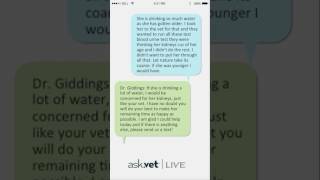 You’re moments away from live chat with a veterinarian!